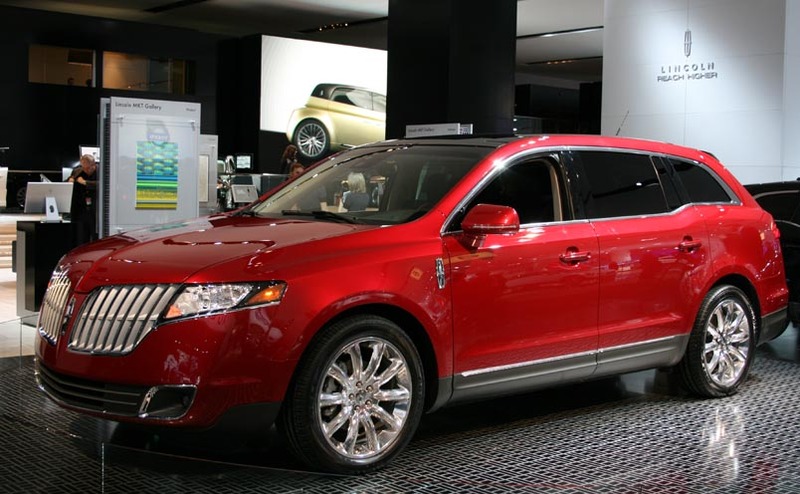 Lincoln MKT is our personal best luxury SUV crossover. MKT is new luxury SUV which boasts performance like a sedan with a long list of high tech features. Most of the reviewers say that it is the best vehicle in Lincoln line up. MKT is the luxury and technological tour de force. It offers every cool gadget you need and available in the market. You can have self parking system, rear seat refrigerator or power folding third row. MKT is the first vehicle, which offers new EcoBoost twin turbo V6 power train. It produces the acceleration of a V8 with the fuel efficiency of a smaller engine. Seating capacity is more than enough, it even provides standard seven passengers seating, which makes it a perfect family SUV, but the third row is suited for kids rather than adults. MKT oddly looking styling has mixed reviews, some love it and some hate it. It is the matter of choice best to check it out yourself. MKT is starting from $44,200, has an average price in mid sized luxury SUVs. Price isn’t economical if you add extra options and the EcoBoost model is starting from $49,000. It has good fuel economy of 17 mpg in city and 23 mpg on highway. The new MKT is full of surprises, its sedan like performance amazed many test drivers. It is one fun to drive car with EcoBoost V6 power to add sheer acceleration. MKT base engine is 3.7 litre V6 that makes 268 horsepower, but the twin turbo charged V6 EcoBoost makes 355 horsepower. The engine is unique in its class because it produces power of a V8 with fuel economy of V6. The fuel economy ratings are pretty good with base model 17/23 city and highway and 16/22 mpg with Ecoboost model. The handling and braking system is pretty good, most of the test drivers are impressed with the handling. MKT exterior is attractive to some of the people (like us), but few find it worse. We would suggest to you look for yourself and give us a review. You will find mixed reviews for its exterior, but it is sure that it has unique design and styling. The new MKT has high quality, well equipped extremely quiet cabin, it can boast up to seating of seven. The one drawback is less cargo space and third row bench seat. 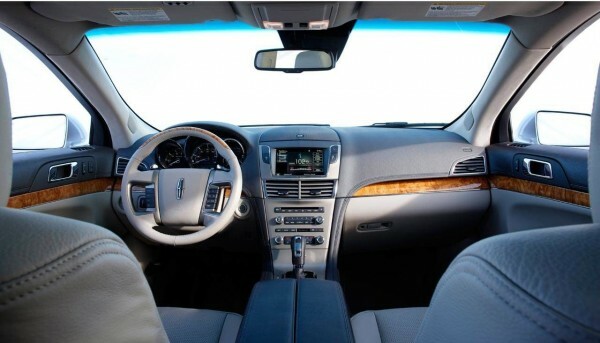 Lincoln MKT comes with three rows of leather trimmed seats for seven passengers. First and second row seats are comfortable and reviewers give them excellent rating. The third row is cramped, but it is suitable for kids. MKT provides child safety seats, two Lower Anchors and Tether anchors for CHildren (LATCH). MKT comes with an adequate list of standard equipments and plenty of high tech options. The MKT base models includes a rear view camera, Ford’s SYNC infotainment system, Sirius satellite radio, automatic temperature control with rear climate controls front heated, cooled seats and remote keyless entry. There are other plenty of available options like voice-activated navigation system, which also comes with a Blind Spot Information System and power panoramic Vista Roof, optional second-row refrigerated console and dual-headrest rear DVD entertainment system. MKT provides 75.9 cubic feet of cargo space; it is the average space capacity in its class. For better space you can consider Acura MDX which provides much more cubic feet of space. 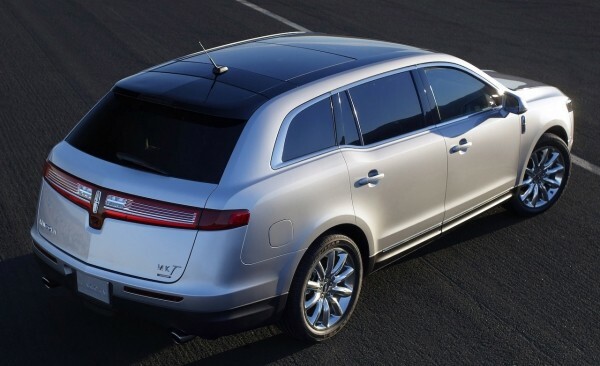 Lincoln MKT is the safest car to drive; it receives five out five rating for frontal, rear and side crash tests. Standard features which include dual-stage front airbags, side curtain airbags, front seat-mounted side-impact airbags, power four-wheel ventilated disc brakes with Anti-Lock Brake System (ABS) and AdvanceTrac® with Roll Stability Control. There are also other safety package options available. Lincoln MKT is the reliable car to drive it comes with four-year/50,000-mile basic warranty and six-year/70,000-mile power train warranty. You will surely love this new luxury SUV.